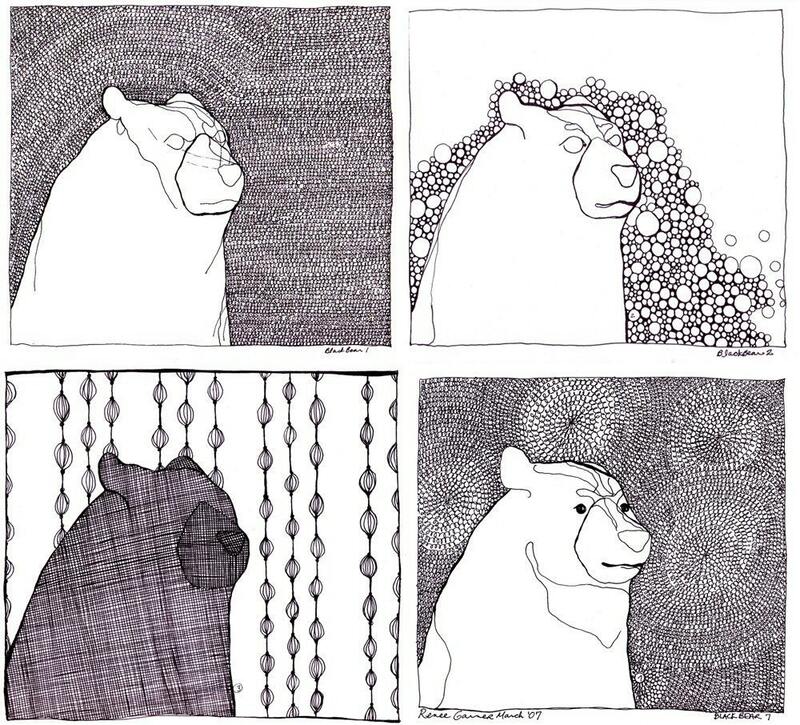 set of four ciy (color it yourself) bearrrs. from wolfie and the sneak @ etsy. i think i would not color them, i'd just hang them because i'd worry about mucking them up. they're so charming in black and white! check out wolfie and the sneak's other great line drawings (and what a great name!). Hey! Thanks for highlighting my work! You're so sweet, and your blog is beautiful! !